Crayola Glow Dome - With this wonderful art adventure, dreams come true. Fuzzoodles - Twist it, bend it, build it in a variety of colorful combinations. Electra Doodle - Creative light system. Aqua Sand Polar Playground - Magic sand that holds together under water. PixOs Ultimate Design Station - Complete art activity center lets you design and build 2D and 3D creations. Splatster - Creative wireless painting on your TV. Play-Doh Ice Cream Shop - Creatable, colorful, makeable fun. Twirl, swirl candy for top. Moon Sand Amusement Park - Create characters with the sand you can mold and send them on a ride. Glow Doodle - Draw, color, create, trace with light both day and night. Zubber - Zubber starter set. Bendaroos Magical Wax - Wax string art toy. Digital Arts and Crafts Studio - Digital pen tablet for children that connects to computer via USB. Pixos - Colored dots fuse together when you add water. Crayola Color Explosion low-tech drawing activity toy lets kids reveal colors hidden inside special sheets of black paper as they draw. Lightastix light up construction system from Rose Art has lightastics power sticks magnetized to light things up. Playdough Doggy Doctor Play-Doh doggie playset. Dohville Play-Doh town playset comes with playdough modeling compound and fuzzy doughville figures. Pixter Multimedia TFT touch screen and ergonomic controls for portable gaming and video display. Flash Art Lite Brite FX spinning paper, music, and neon glow. Crayon Holder kid-invented product uses plastic tube for grip to enable children to hold the smallest broken pieces and still draw. Lights Alive Tomy art activity center with magic drawing board, storage, and markers lets you create erasable designs with color and light. Lite Brite Easel classic drawing activities with markers combined with light board, bulbs, and colorful pegs. ViewMaster stereoscopic photography limited edition boxed set includes a classic 3D viewer and eight reels to honor its decades of history. Amazing Elastic Plastic - Create balloons of all shapes and sizes. Art Craft Projects for Kids - Charlotte Tops Nation in Arts Philanthropy. Artist Apron Smock for Children - Long Sleeve Artists Apron by Alex. Artist Easel for Children - Double Easel by Little Tikes. Artist Easel with Art Supplies - Artist Easel with Tray Supplies by Alex. Art Kit Set Paint Watercolor Brushes - Totally Me 156-piece Deluxe Art Set with Wood Case. Bathtub Fingerpainting Kit with Bath Tub Finger Paint - Bathtub Finger Painting Kit by Alex. Blo Pens Deluxe - Blow pens are spray pens that are used with stencils. Butterfly Painting Kit - Paint the Wild: Butterflies Kit by Balitono. Candle Making Craft Kit - Candle Creations by Natural Science. Complete Art Supply Case - Deluxe Art Caddy by Imaginarium. Crayola Crayon Maker - Make your own crayons by melting down the old ones. Crayola Paint Can - Crayola Lots-a-Paint Can by Binney and Smith. Crayola Paint Mixer - Mix your own paint, comes with color mixing guide. Crayola Trace and Draw Projector - Crayola Tracing Projector. Easel Pad Newsprint Paper - My Easel Pad by Alex. Figurine Painting Kit - Fun to Paint Case by Sky Kids. Fuzzy Flower Maker - Make beautiful fuzzy flowers, flower pots, and fuzzy shapes. Gooze - Kids love gooze. Horse Painting Kit - Paint the Wild Horse Kit by Balitono. Jammin' Draw Music Art Toy - A great toy for those long drives. Jeweltastic Factory - Glamour Gear Girl Bead Toy - Just Jewels - A super craft game. Lazer Doodle - It's great to create with color and light with this laser doodle toy. Light Bright Cube - Lite Brite Cube by Playskool. Lite Brite - The classic game that never goes out of fashion. Magna Doodle Drawing Toy - Classic Art Toy. Melt-O-Matic - Plastic molding machine. Musical Fingerpaint - Musical Fingerpainting by Fisher-Price. Nickelodean Skweez - Nickelodeon Squeeze is a fun amazing toy. Paint and Play Tent - By Pacific Play Tents. Paint and Swirl Art Machine - Paint 'n' Swirl by Natural Science. Plate Painting Kit - Two Glass Plates for You to Paint by Creativity for Kids. Play-Doh - The classic building clay for young people. Playdoh Dentist Set - The idea is to mold white teeth out of Play-Doh, press them into the gums of the patient, and then play dentist. Pottery Wheel Toy - Sculptors of all ages can create an endless array of clay masterpieces with this powerful tool. Power Beads Craft Set - Bracelet kit. Sand Art Project Kit - 6 Exciting Sand Art Projects by Natural Science. Shrinky Dinks Oven Toy - Heat-sensitive plastic sheets feature outlined images children color in with the included pencils. Spectracolor Image Pad - A light bright that you touch, a great alternative. Splat Mat Mania - Splat comes with mat. Splatter Dome - Kids can create 8 different objects. 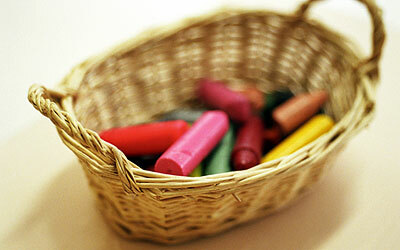 Toddler Art Center - Creative Art Center by Step2. Totally Me Artist Portfolio Art Kit - Totally Me Artist's Portfolio. Warhammer 40,000 Paint Set - Warhammer 40000 Painting Set by Games Workshop. Zyrofoam - This moldable compound feels like a cross between Styrofoam and Play-Doh.